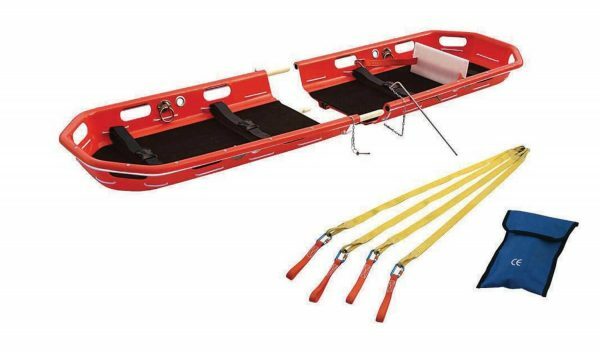 Basket stretcher for horizontal lifting. Extremely durable high density polyethylene shell with moulded runners and handholds. UV, chemical, rust and corrosion resistant shell. O rings as well as built in grommets for secure lifting by helicopter etc. Easily replaceable built in mattress for patient comfort. Includes 4 lifting slings complete with karabiners – packed in PVC bag. Includes 4 tether straps with fast locking buckles for rapid securing and release of patients. Available as 1 complete unit or split model for portability.